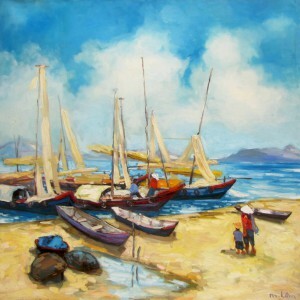 Painting the sea is tricky as it is difficult to capture its permanently changing appearance. 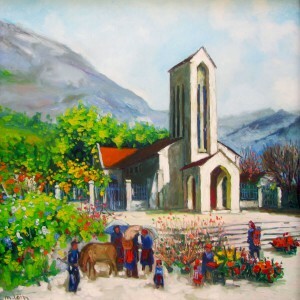 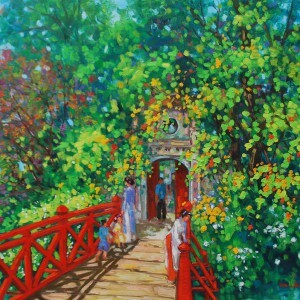 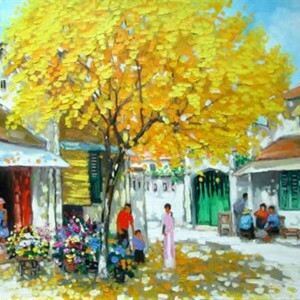 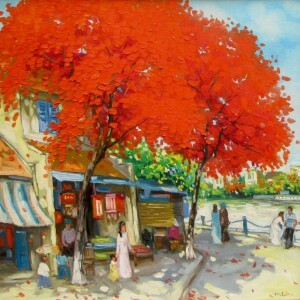 Contemporary Asian artist Lam Manh, however does it successfully. 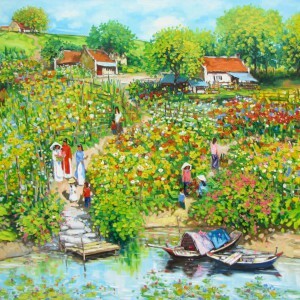 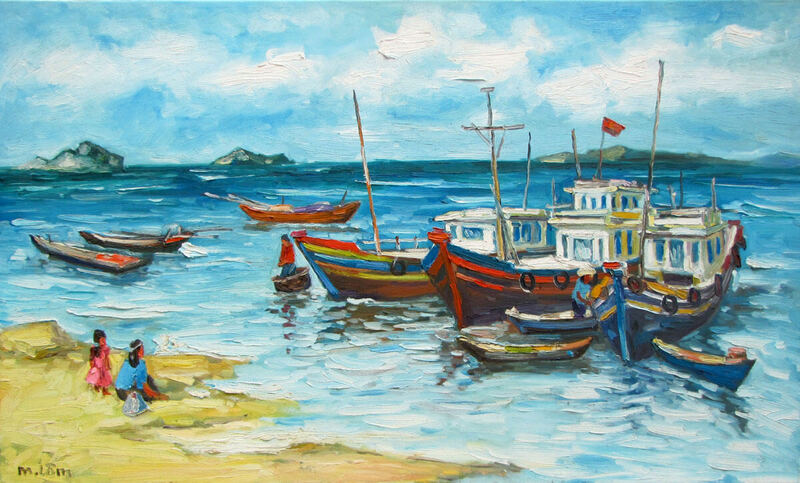 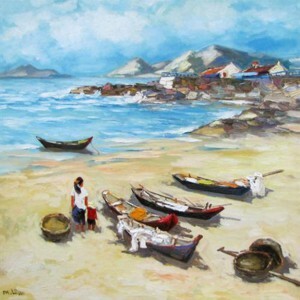 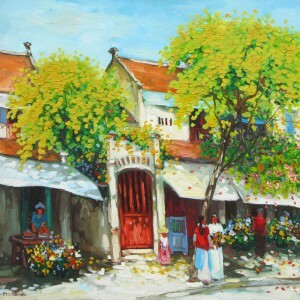 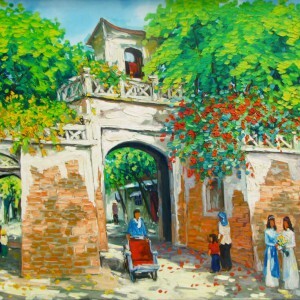 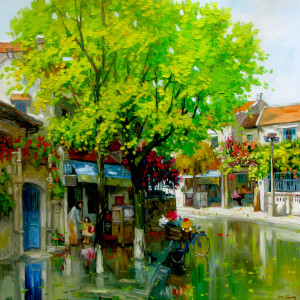 He portrays a Vietnamese seashore in a lifelike manner, with a little stylization, enlivening the image with small human figures. 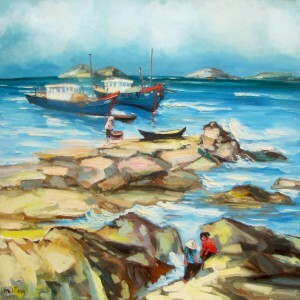 The blue color of the sky and the sea gives a peaceful feel to the piece.